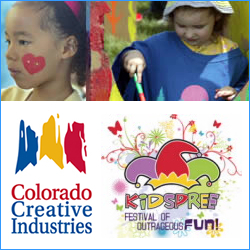 KidSpree returns hailed as Colorado’s largest outdoor Kids Event/Festival. The celebration includes free admission and activities for Kids. Free parking with shuttle access is available from Town Center parking lot. Join in the KidSpree for fun including inflatables, mural painting, car art activities, a musical petting zoo, with life-sized board games, and much much more. A great summer family event.